1-It contains tons of full color photographs of Learning Stations for Math, Literacy, Social Studies, Science, Dramatic Play and Poetry. 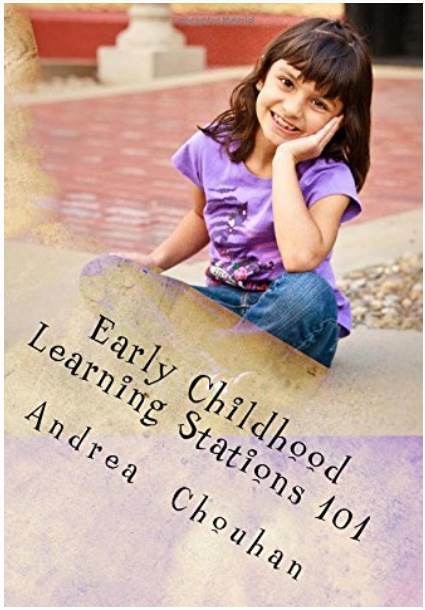 2- Every learning station in this book is aligned with Kindergarten standards (Common Core State Standards and either TX and/or AL Social Studies and Science Standards). 3-I also explain how to rotate between learning stations, and even free choice stations. If you have wondered how to incorporate Stations or Centers, that are academic based into your classroom, then this is the book you need. 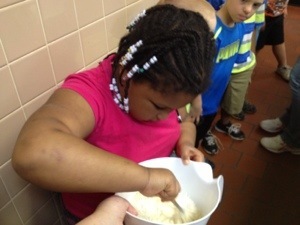 All of the activities are kid-tested and teacher approved…..and they are FUN! Will this help my students and my teaching? This is a great book for veteran or first year teachers and all of those in between! This is like a Pinterest board for learning stations, in a book! However, it is a major time saver, as all the information of “how? what? and why?” are listed in the book and all in one place! While these stations promote manipulative materials (cheap ones! ), you will not find any worksheets in this book. 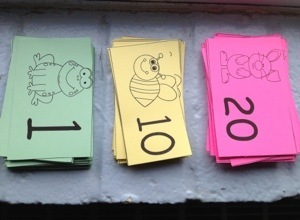 However, I do have some of the printable stations at my TpT store, that can simply be laminated and ready to go! 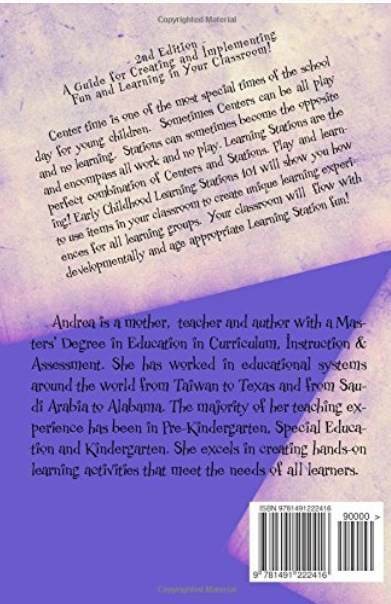 Also, “Early Childhood Learning Stations 101” goes great with my “Kindergarten Lesson Plans – Common Core Aligned” and “Special Education Modified Kindergarten Lesson Plans – Common Core Aligned.” These are also available in my TpT store. Within these lesson plans, I reference many of these stations. This book provides the visual of those stations! My lesson plans are available by the month, or yearly bundle. 1. 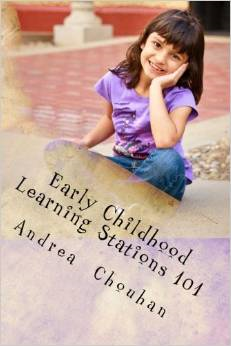 Every Learning Station in this book is aligned with the US Common Core State Standards in Literacy and Math. Science and Social Studies stations are academically aligned with Texas TEKS and/or Alabama College and Career Ready learning standards. 2. Each Literacy, Math, Science and Social Studies station features pictures from my classroom! 3. 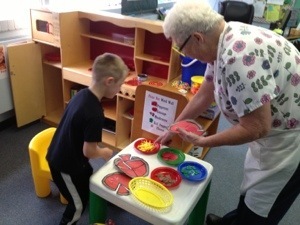 Each Learning Station outlines the aligned standard, activity and needed materials. 4. 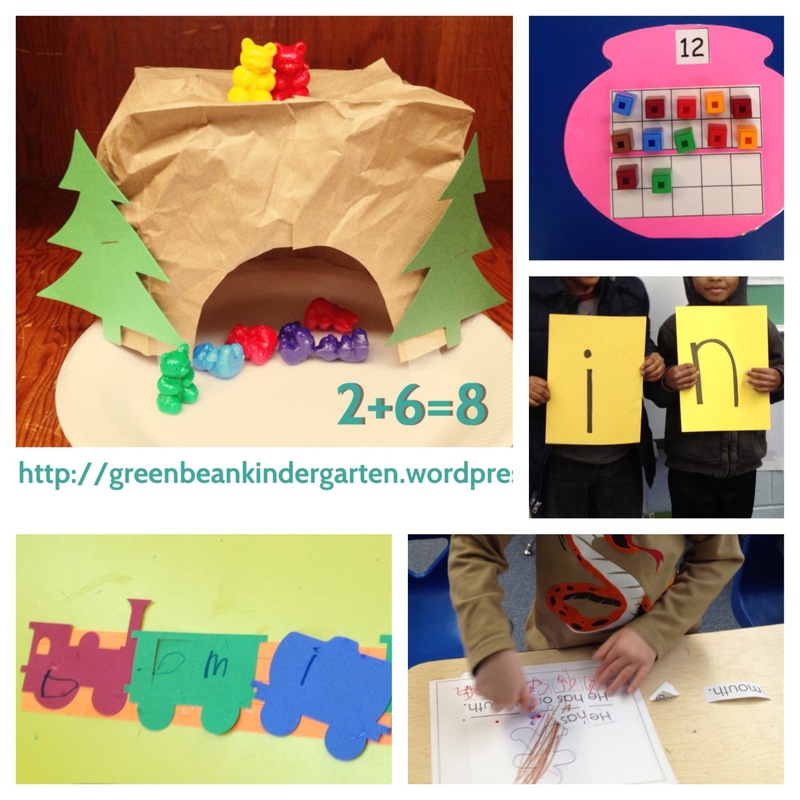 Needed materials for these Learning Stations are common classroom items or Dollar Store items! 5. It is 212 pages full of ideas that I and other teachers have used in our classrooms! * This is the books 2nd edition, as it was originally printed with only Texas learning standards in 2013. It is now completely aligned with the US Common Core State Standards, as well as Alabama learning standards. 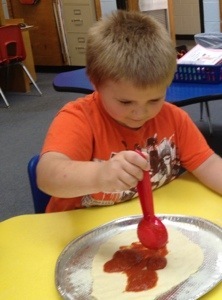 It also has tons of more NEW pictures of learning stations and activities. The 1st edition had 157 pages – so much has been added! The Kindle edition, is optimized for Kindle. It may also be read on the iPad and iPhone, but will not be viewed as optimally. Text will appear mis-aligned. I have done my best to ensure that all grammatical errors are eliminated, however, I am only human, so errors may still exist. That’s the price I pay for being my own editor! I welcome your feedback and support! Happy teaching! 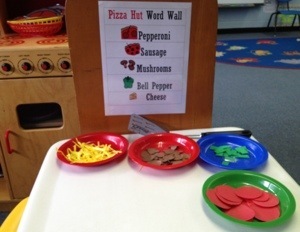 Pretend Play with Pizza Hut is a fun way to add pizazz to your classroom! Some of my students still had trouble learning the letter “P” and it’s sound. 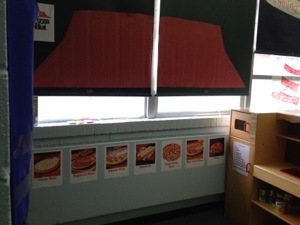 So, with Spring around the corner, I decided to spruce up our classroom Kitchen and transform it into Pizza Hut! 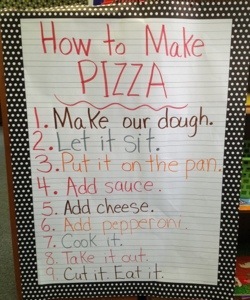 This goes along great with our shapes lesson, as well -and- it encourages good social skills and peer interaction! 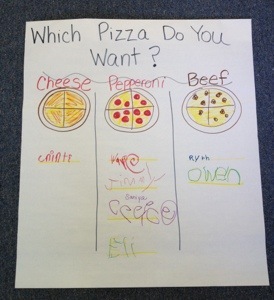 During the first week, I invited other school staff to pop into our classroom and “place their pizza order.” They modeled correct and complete sentences for the students. It is so meaningful (and cute! ): The child who takes the order, must ask “What would you like to order?” Then, he has to use the paper ingredients to remember and make what the customer ordered. 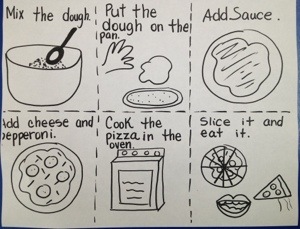 This is a great way to build story sequencing skills!!!!! I made this Center using the big red roll paper for the Pizza Hut roof. For the wall menu, I simply printed signs that I made from google images of each Pizza type. 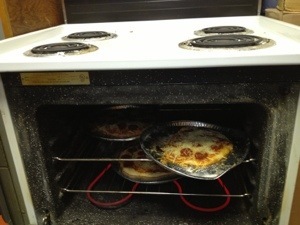 The Pizza’s are just paper plates with a red construction paper circle taped on top. 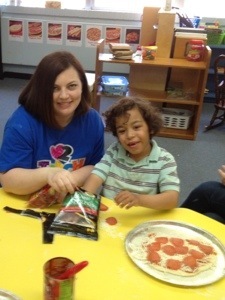 The pizza toppings are cut paper, sorted into bowls (rectangle green bell peppers, cheese, pepperoni). Next, they will get to practice their counting skills with the money I have added! 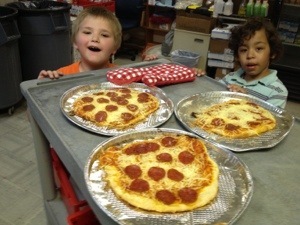 My students also had fun making pizza in class. This was a great lesson in sequencing and I think it helped a great deal in sharpening story retelling skills. 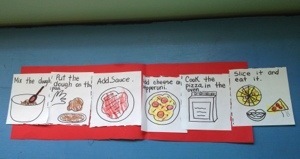 As a whole group we worked together to put these cards in order as we discussed the steps in making real pizza. 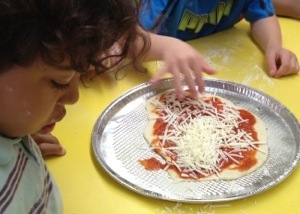 Then, we made real pizza, beginning with making pizza dough and all the way to flattening the dough, placing toppings, baking it and then eating it! Afterwards, the children cut apart the picture cards below and glued them in the correct sequence.